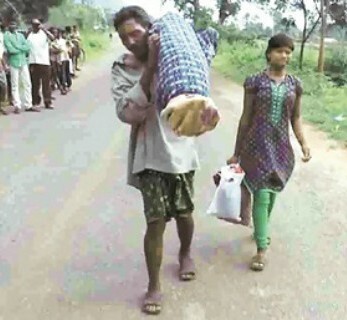 Two days after a man carried the dead body of his wife on his shoulder, from the District Headquarters Hospital in Bhawanipatna, the Kalahandi District Collector has ordered an inquiry into the incident. The Collector promised to take strong action against the District Headquarters Hospital authorities, security agencies and whoever found to be negligent or otherwise. The District Collector instructed the Chief District Medical Officer (CDMO) to submit a fresh probe report in 7 days in this regard.